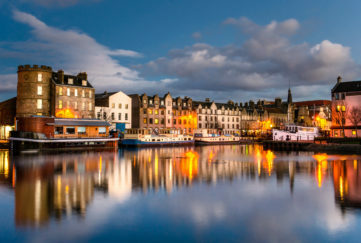 Only two minutes walk from Princes Street but hidden away from everyone except those who can use their detective skills to seek it out is Inspector John Rebus’s favourite watering hole – The Oxford Bar. Low-key, full of character and containing a wide cross-section of people, The Oxford Bar is Edinburgh in a nutshell. 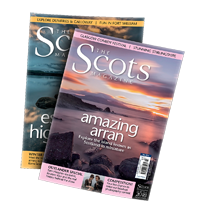 It also remains one of Rebus author Ian Rankin’s favourite bars, so you may be extra-lucky and catch him enjoying a pint of Deuchars IPA, his favourite tipple. The Ox, as it is fondly known, is so snug that any conversation will inevitably involve the bar staff – it’s like drinking in your front room. And look out for the almost-antique pie machine built circa-1950, which is still in use. 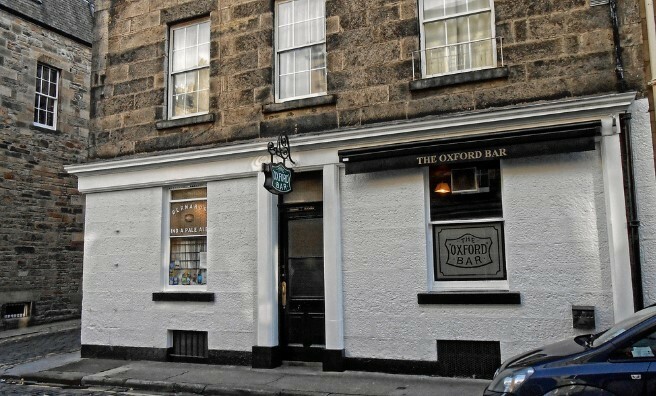 The Oxford Bar, 8 Young Street, Edinburgh EH2 4JB.